When it comes to organizing outdoor kilt skates, Mother Nature always has the last word. And so, with last week's warm spell continuing into the weekend across Eastern Canada, the Third Annual Sir John A's Great Canadian Kilt Skate had to be moved off the Rideau Canal. We're moving it to the Lansdowne Park Skating Court, where we held it last year. 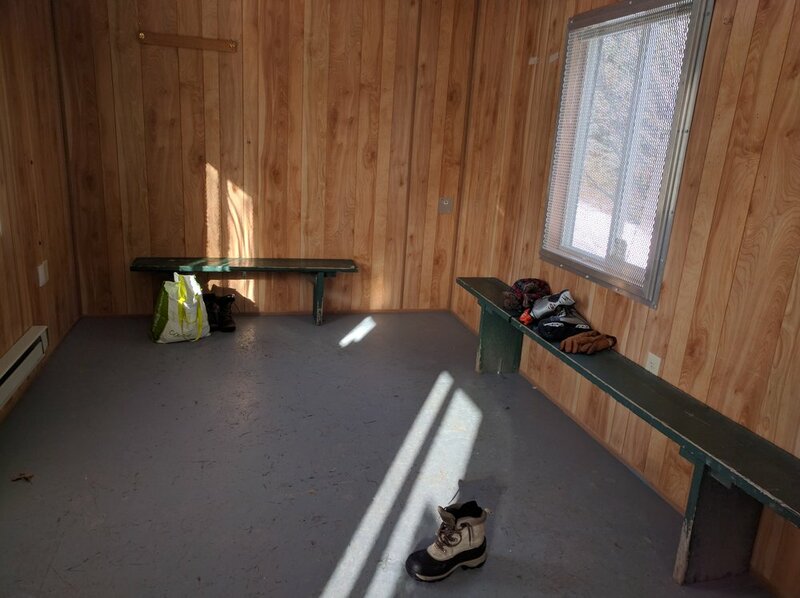 It's a great place for a kilt skate: refrigeration coils to keep the ice from melting; Zamboni service to keep the ice smooth; changing rooms to keep skaters warm; electrical outlets to keep our costs down. But it's when plans must be changed with only two days before an event that you begin to realize the breadth and depth of the talent that comes together to put on a kilt skate. We knew there was a possibility that the canal would not be available on Saturday, January 28 -- although we'd picked that date because, statistically, it's the coldest weekend of the year. When we got the email from the National Capital Commission (which is responsible for the Rideau Canal Skateway), an entire team began working to sort out each part of the challenge. There was the basic set-up and operations. Detailed layout plans had been made for a kilt skate on Dow's Lake, near the pavilion. They involved electrical generators to power the sound system for the opening ceremonies; tents weighted down so they would not blow away across the ice; a red carpet so that dignitaries for the opening ceremonies would not slip if they needed to cross the ice to the podium without skates; licenses and permissions from the City and from the National Capital Commission itself. What was needed for the Lansdowne Park location? What permissions needed to be sought? Fortunately, Richard Fleming had thought most of this through beforehand. He and Heather Theoret had cultivated the relationships with the operations people at the National Capital Commission and at City Hall -- where he's known as "Prince Richard." To an outsider, it all seemed to run incredibly smoothly. By the end of the day, most of the operational changes had been put in place. Other elements of logistics involved the provisioning of cake and hot chocolate. The baker had to be notified of a new delivery location for Saturday morning. Malone's Lakeside Grill had offered to provide complementary hot chocolate for a Dow's Lake kilt skate. They had to be told that it was no longer feasible. Malone's has been looking forward to working with us for two years now -- pre-skate brunch and post-skate refreshments as well as hot chocolate during the skate. So far, we have had to move venues each time. Maybe next year, Demetri! We arranged with Milestones in Lansdowne for our post-skate party -- thanks, Tom! We'll be bringing ot chocolate from Tim Hortons. One of the major challenges was communications. Sue MacGregor had done such a good job of getting the word out that the skate would be on Saturday at Dow's Lake, and now she had 48 hours to get the word out that the venue had changed. To call Sue a Director of Communications is a serious understatement -- she's more like a Chief Operating Officer, and together with Heather Theoret, kept track of the entire process. The two of them are the calm in the centre of the storm. Sue explored several communications alternatives, including purchasing tags to paste on top of the posters that had been plastered across Ottawa, but this proved to be cost prohibitive. Very quickly, Sue had a news release sent to area media, and within hours we were getting calls for radio interviews that would help us get our message out, and the "events" websites of newspapers had been updated. The last line of communications defence was to inform people who actually showed up at Dow's Lake that the event had been moved about a kilometer down the road. Sue worked with our designer, John Theoret, who had come up with those wonderfully evocative posters. They designed a chloroplast sign that could be posted on the gates that closed the entrance points to the Skateway at Dow''s Lake. Tomorrow we'll set them up there, and at Lansdowne. Social media and email are much more flexible and direct ways to reach , and within hours, Charlie Inglis, Sue Tolusso, and Michelle Beaupre had each done their part to update information on the website, Instagram, Facebook and Twitter. As our Event Production Assistant, Michelle sent email messages to more than 600 members on the Scottish Society of Ottawa's mailing list, and ensured our online calendar of event sites remained up-to-date. Jackie McKeown has been working with the solid volunteer base of the Scottish Society of Ottawa, keeping them informed, motivated, and aware of our gratitude for all they do to keep functions like the kilt skate and Hogman-eh! running effectively. Jackie ensured that the volunteers were aware of the changes in plans. Among the volunteers, Janet Detillieux has been a point person in helping make sure that the right things get delivered to the right location at the right time. Some of the prep to change venues involved notifying VIPs who planned to attend the event. Contacts were made with the offices of MP Catherine McKenna, MPP Yasir Naqvi, Deputy Mayor Mark Taylor, Scottish Government representative Chris Maskell, and National Capital Commission representative Brian Lacey. The itinerary for the opening ceremonies had to be adjusted accordingly. As with so much else that has to do with protocol, the go-to person was Heather Theoret who, as Secretary for the Scottish Society of Ottawa and a member of the Society's Executive Committee, keeps her finger on just about everything that's going on for the kilt skate or any other operation of the Society. Other members of the Executive Committee have been active participants in the kilt skates over the years. Our Executive Director, John Ivison, has served as Master of Ceremonies in our opening ceremonies, has used his media connections to help get our messages out, and has been an enthusiastic skater himself. Our Chair, Kevin MacLeod, and Vice-Chair, Emmett Hossack, have been the champions of the idea of a national kilt skate and have been instrumental in turning a private house party into a national celebration of Scottish culture that is quickly taking hold across Canada. Treasurer Andrew Balfour has ensured that we have been able to transfer support to the kilt skate partners and has used his close relationships with people of influence in Ottawa to raise our profile. But the point is this: within 36 hours of being told that we had to change our venue, the team at the Scottish Society of Ottawa -- including volunteers -- leaped to the landyards and changed the tack of the ship. It happened so quickly, and without mishap, because of the quiet competence of so many different individuals who have been brought together under the umbrella of this organization. I'm deeply humbled and honoured to be working alongside such capable people. Tomorrow at noon, it will all run smoothly like a well-oiled machine, and that is because it is being run by such wonderful people as these.